Mississauga is great city to call home, and not only because of its close proximity to the downtown Toronto core. Nestled on the shores of Lake Ontario and in the Regional Municipality of Peel, Mississauga is situated between Oakville and Milton on the West/Southwest, Brampton to the North and Toronto to the Southeast. Mississauga embodies a rich multicultural community, allowing for a large array of restaurants, events, shopping centres and more. 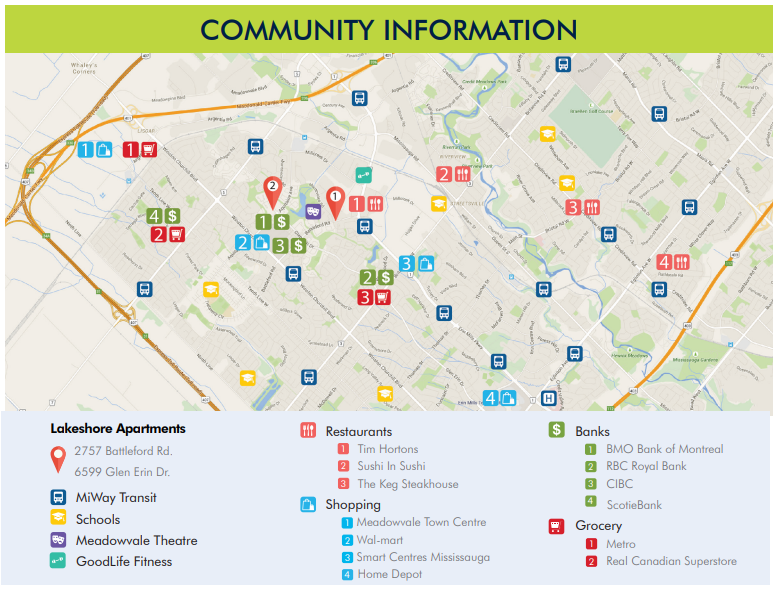 Mississauga also provides easy access to major highways, GO transit stations, subway stations and MiWay buses. With so much to see and do throughout the city, the options are endless. Choose from a variety of recreational activities including swimming, fitness, learning, sports, camps and much more. 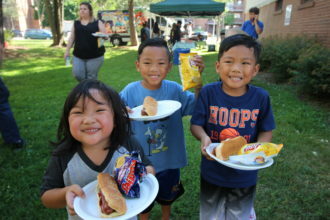 Check out more activities here. Interested in attending a local event in the city? You can view a list of cultural events here. 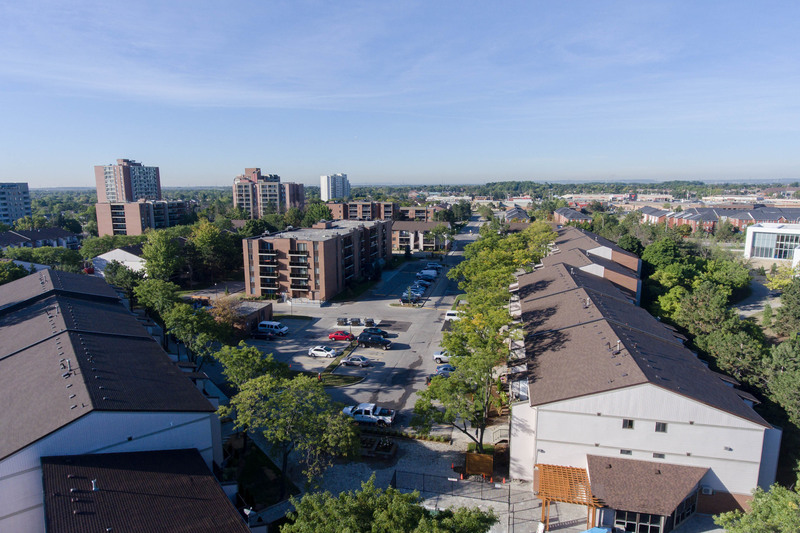 If you’re looking to make the move to Mississauga, we have the perfect place for you to call home at Lakeshore Apartments. 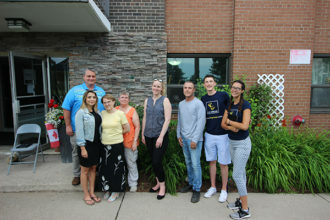 Nestled within the Meadowvale community, Lakeshore Apartments is located at 2757 Battleford Road and 6599 Glen Erin Drive. Lakeshore Apartment’s amenity rich location places residents in the hot spot for local community shops and entertainment. At Lakeshore Apartments, you can choose from spacious 1 bedroom or 2 bedroom apartments in one of our two high rise towers, or surrounding terrace walk-ups. Each suite features newly renovated kitchens and bathrooms, energy efficient appliances and most suites offer a balcony with a spectacular view. The apartment complex features courtyards and gardens, a fitness centre and sauna, outdoor seasonal pool, on-site laundry and more. 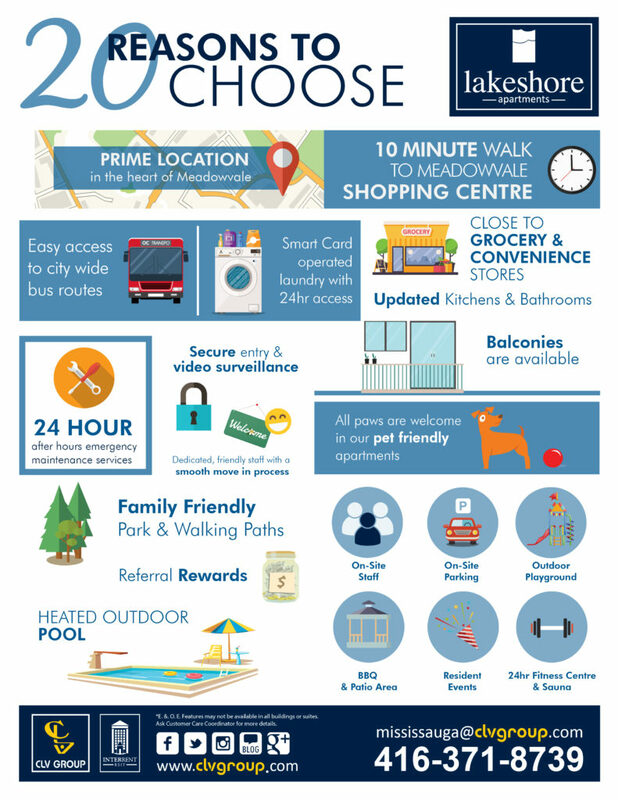 We’ve compiled our Top 20 Reasons why you will love living at Lakeshore Apartments in Mississauga, Ontario. Interested in making the move or want to learn more? Give us a call at 647) 483-2662 or email mississauga@clvgroup.com to set up a private tour.